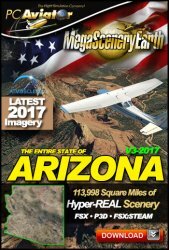 SAVE 50% OFF ALL MEGASCENERYEARTH. SIMPLY ADD TO CART AND YOUR MEGASCENERYEARTH TITLES ARE AUTOMATICALLY DISCOUNTED BY 50%. ON NOW. ENDS MIDNIGHT 22 APRIL 2019. If you're looking for a truly authentic VFR flying experience in FSX, FSX: Steam and Prepar3D then you've come to the right place. 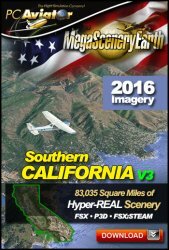 Created from high resolution aerial photography, our scenery enables you to fly all the places you've ever dreamed of flying - including your entire home state - with a degree of visual realism that's as close as you can get to real-life itself. Your purchases are immediately available by instant download the moment your purchase is complete and our easy-to-use installer requires just a few mouse clicks to install your scenery and begin flying almost immediately. Of course if you want your scenery delivered on physical media, we can also mail your scenery on DVD or Flash drive. Just choose your delivery option when you "add to cart". There's a total of 4,500,000 square miles of the world for you to choose from, with new titles being released regularly, so visit often. If you fly sims for fun and pleasure there's no better eye candy for your simulator. Or, if you're a pilot who uses flight sims for proficiency, there's no better way to familiarize yourself, and remain familiar with, the real world areas you actually fly. 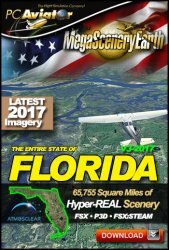 We hope you enjoy our site and more importantly, your new, visually stunning, flight simulator flying experience that MegaSceneryEarth gives you. Optimally streamlined such that it couldn't be any easier! No more downloading and unzipping huge files. Launch from your finalized order and ready-to-fly bgl files download directly into the scenery folder on your hard drive. 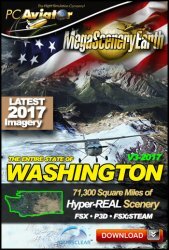 Enjoy The Best Flight Sim Scenery Graphics With Large Scale, Real World, Aerial Photo VFR Scenery And.... With Smoother Framerates! It Makes You Feel Like You Are Flying In That Part Of The World Like No Other Scenery Addon Can. For Microsoft Flight Simulator (FSX), FSX: Steam Edition and Prepar3D Versions 1.X, 2.X, 3.X & 4.X. Each title you purchase installs into all six flight sims. 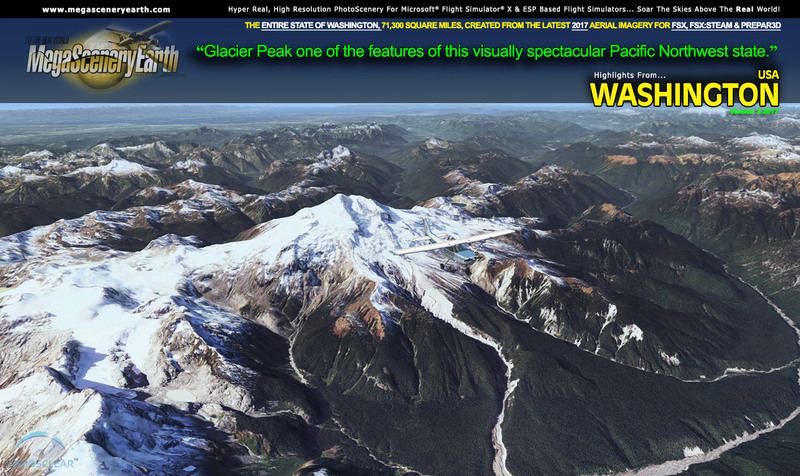 Created From High Resolution Aerial Photography, For Microsoft Flight Simulator X. Where Everything You See On The Ground In Your Flight Sim Is What You See In Real Life. You Will Even Be Able To See The Rooftop Of Your Own Home. And It's Just As Good For High Altitude Jet Flying As It Is With Light GA Aircraft! Framerates With MegaSceneryEarth Are Actually Smoother Than Default Scenery. 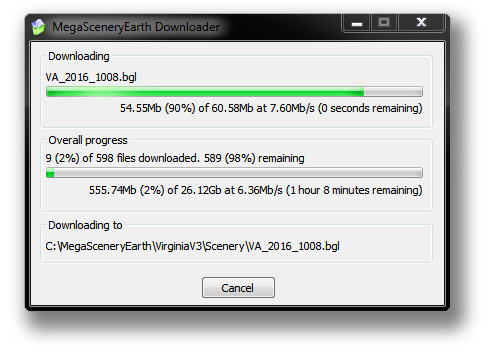 .... And Ordering Your MegaSceneryEarth Scenery Is Easy. Simply.... CHOOSE=>BUY=>DOWNLOAD=>FLY! And you'll usually be flying within an hour or two.